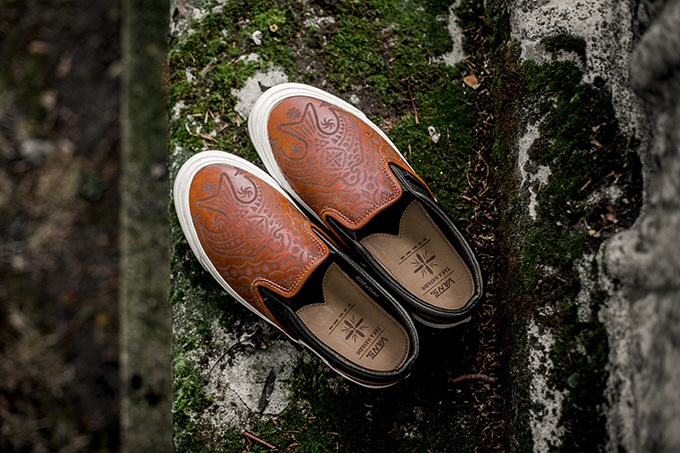 Vans continue their 50th Anniversary celebrations with the VANS VAULT X BROOKS ENGLAND LTD pack. 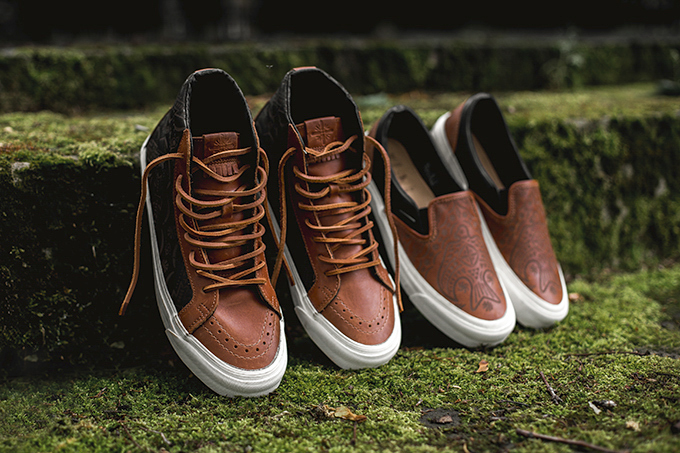 Vans’ 50-year milestone is impressive, and Brooks’ pedigree is even better: the famed English bicycle goods manufacturer has been operating for a mighty 150 years. 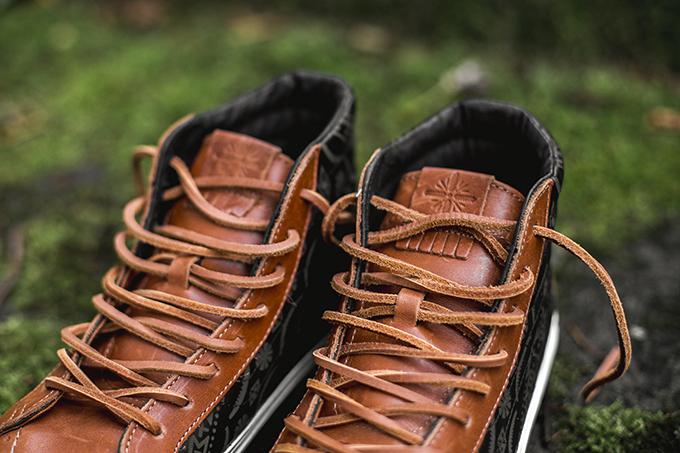 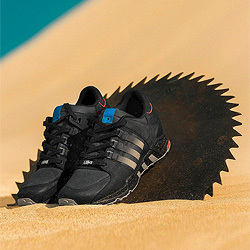 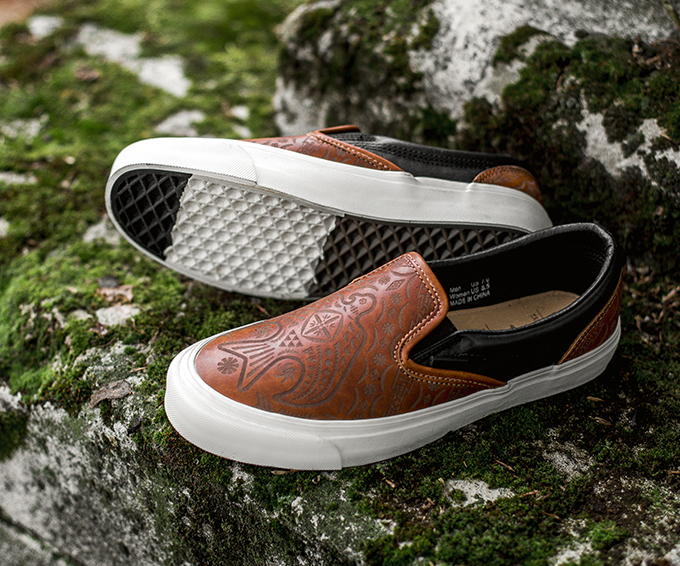 The two brands last worked together in 2010 on a collaborative release that sold out almost immediately, and this new release follows in its premium footsteps by looking to Brooks’ leatherwork history for inspiration and combining it with the distinctive artwork of Taka Hayashi. 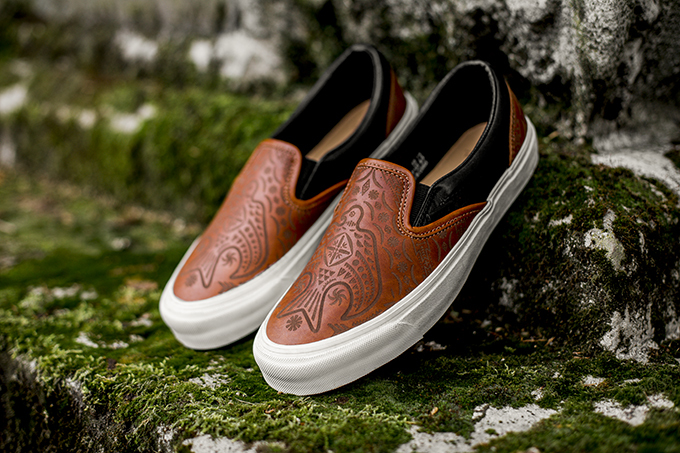 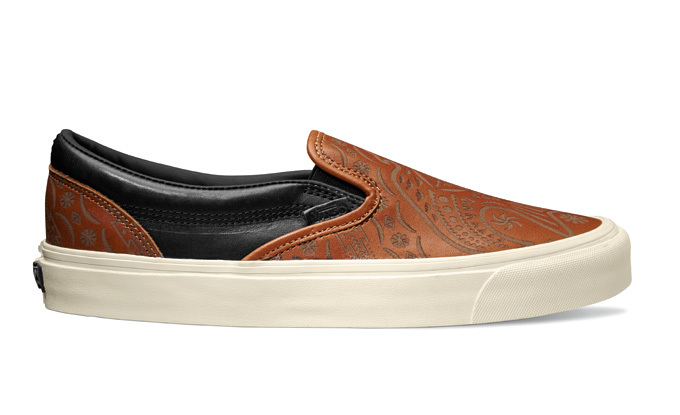 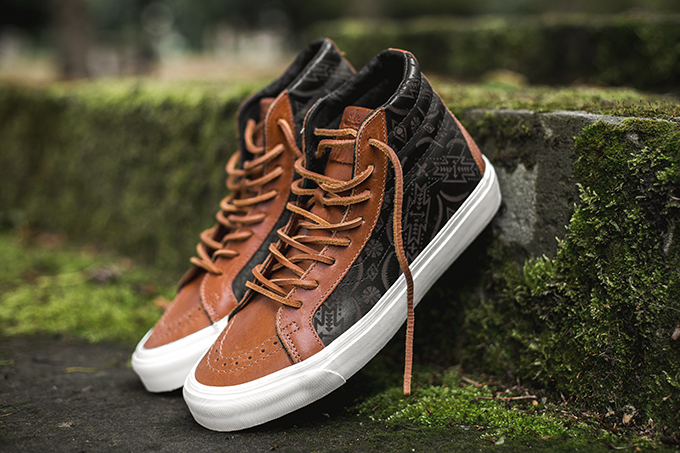 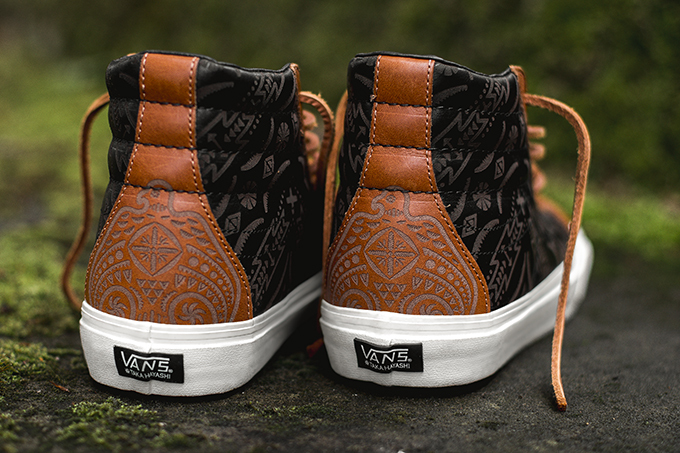 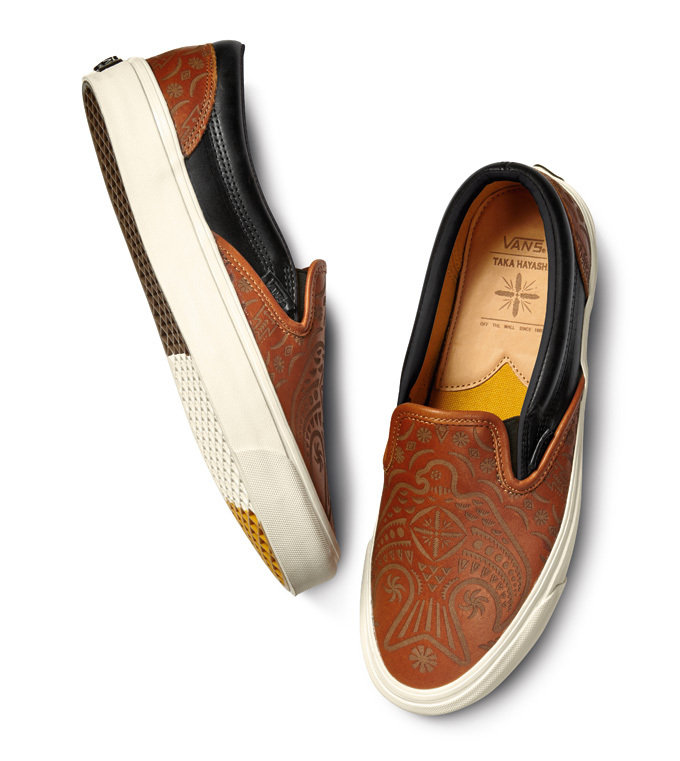 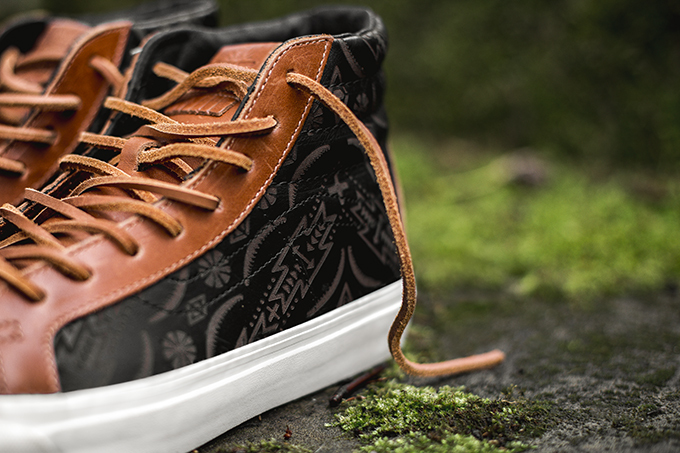 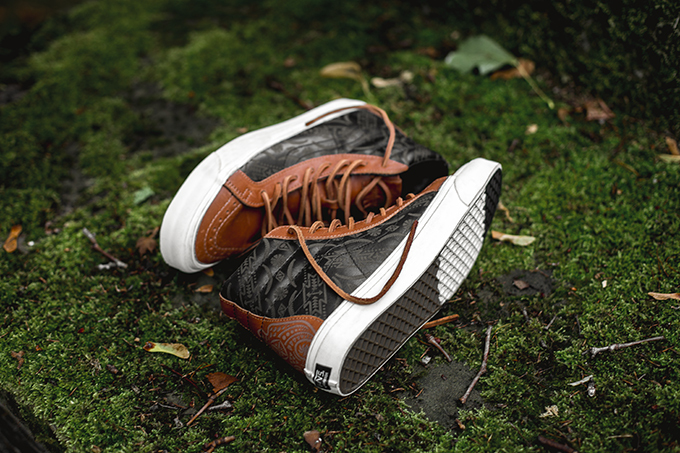 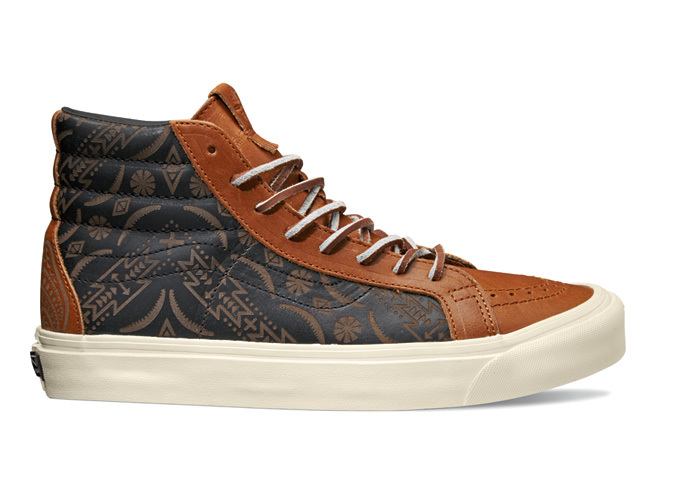 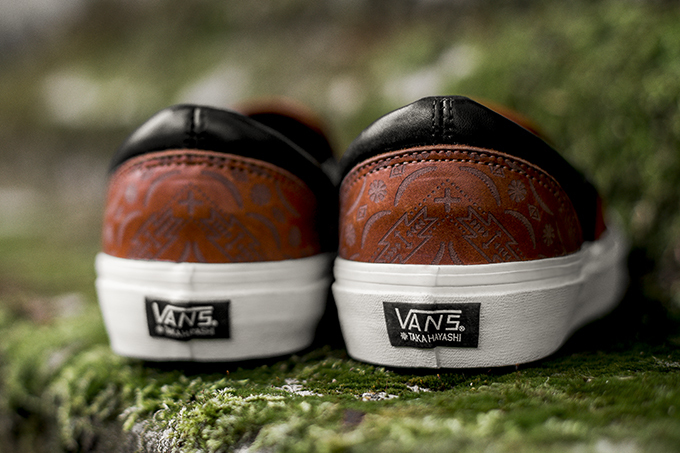 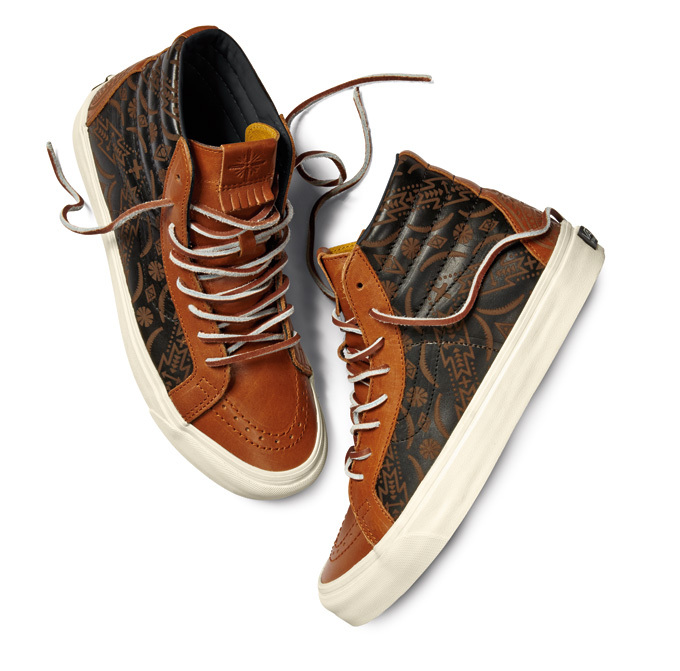 The pack consists of the TH OG SK8-Hi LX and TH OG Classic Slip-On LX, both executed in beautiful rich shades of tooled leather bearing Hayashi’s distinctive artwork. 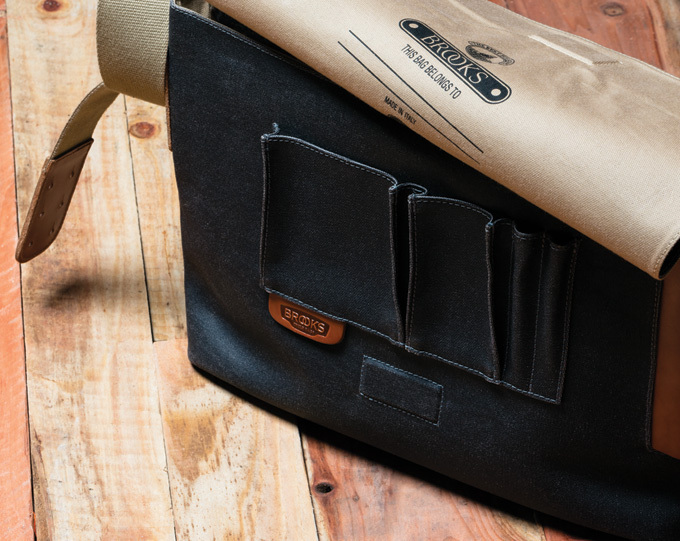 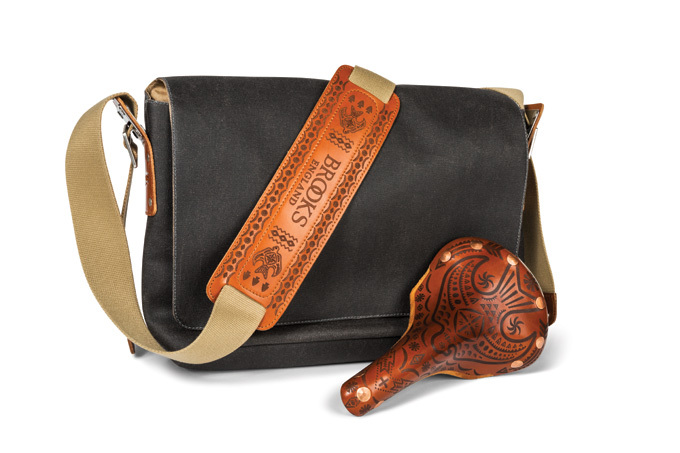 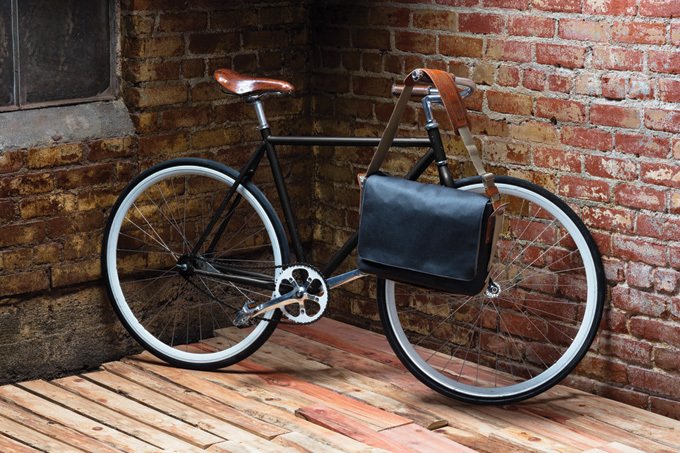 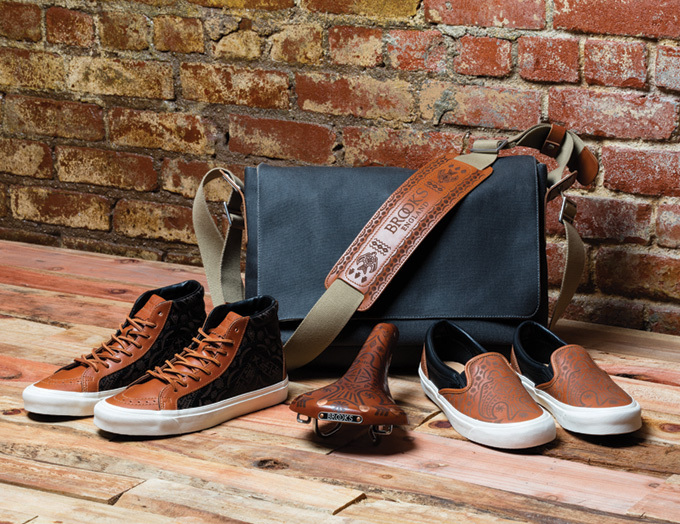 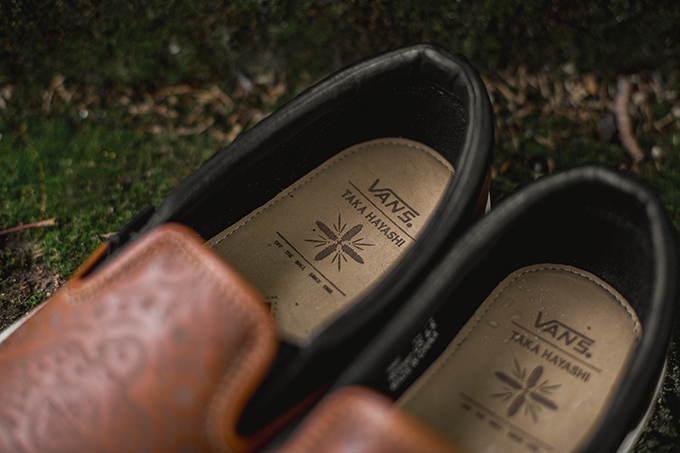 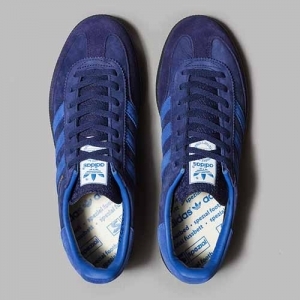 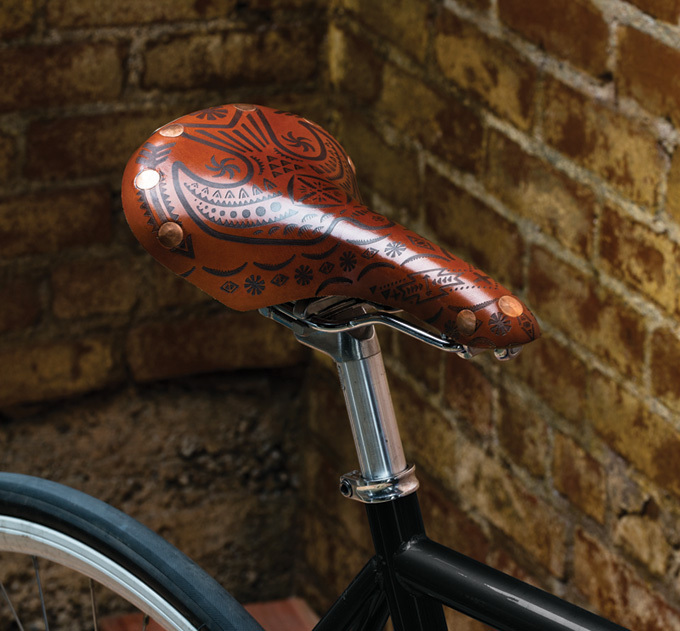 The footwear is complemented by a matching messenger bag and two bicycle accessories: the new Swift Vans Saddle, and a reissue of the original 2010 Team Pro Vans Saddle which is limited to just 50 pieces worldwide.